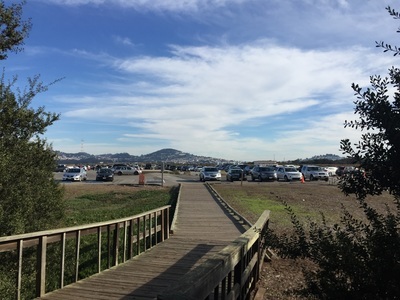 Parking: Free parking area at the pullout at the address above. 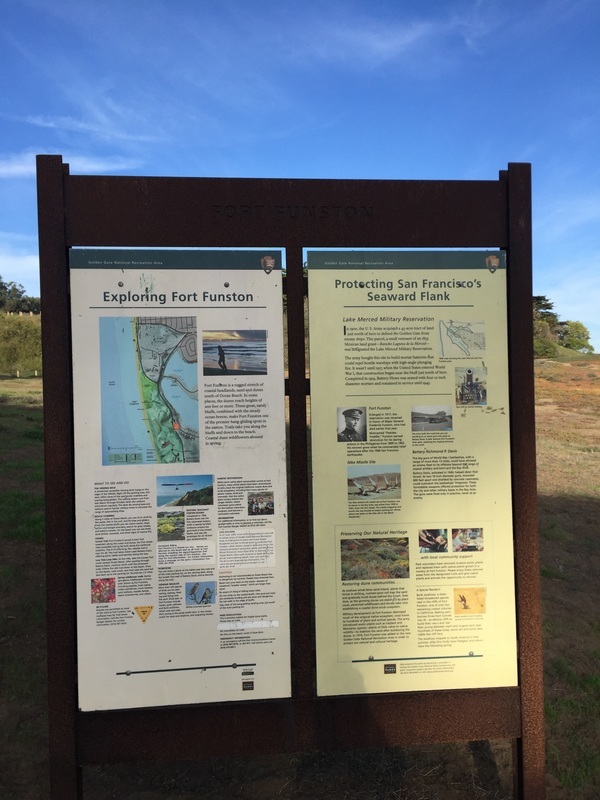 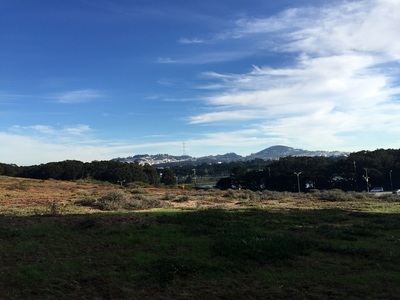 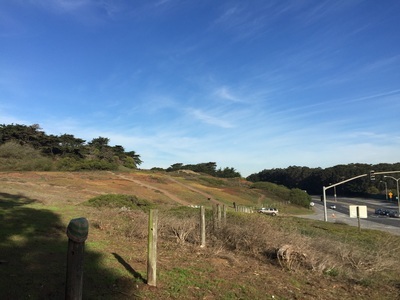 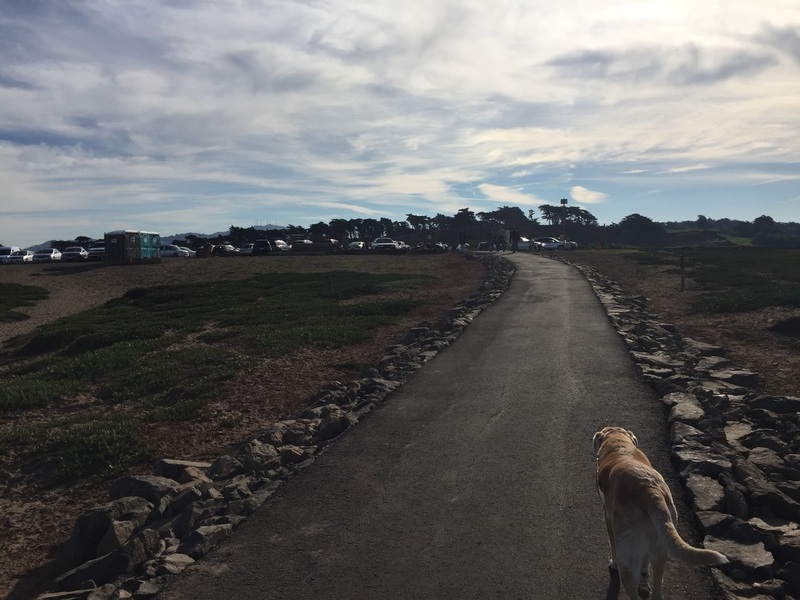 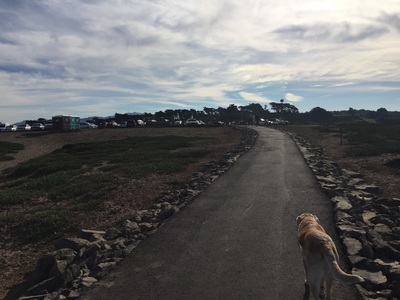 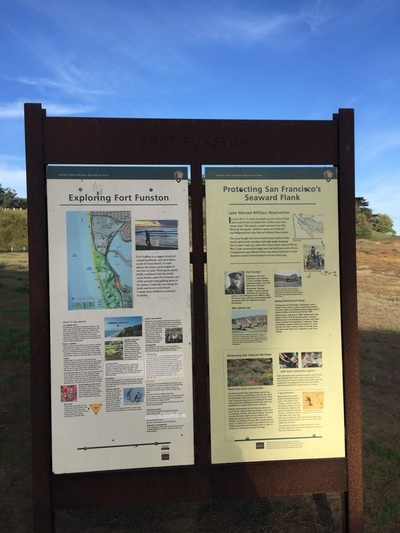 Another large parking lot is available further up Skyline Blvd on Fort Funston Rd. 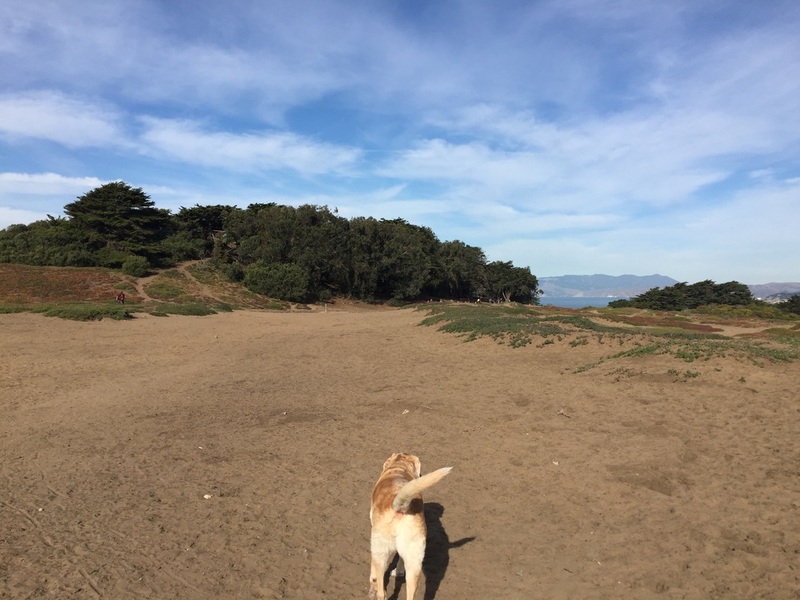 Best time to visit: Anytime it's not windy. It's a great place to go in summer to escape the heat, go for a swim and enjoy the bay breeze. 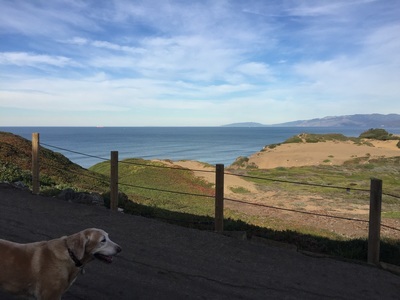 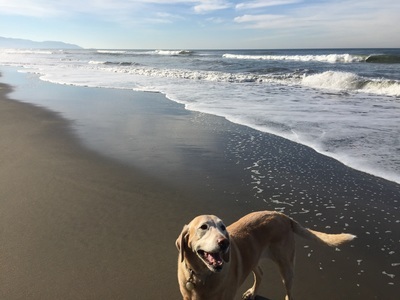 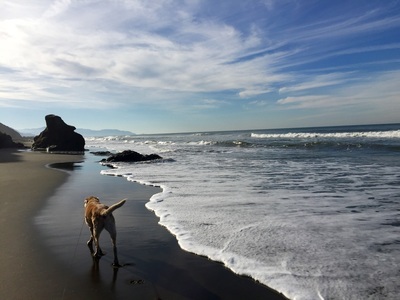 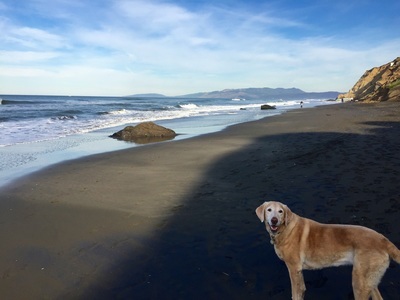 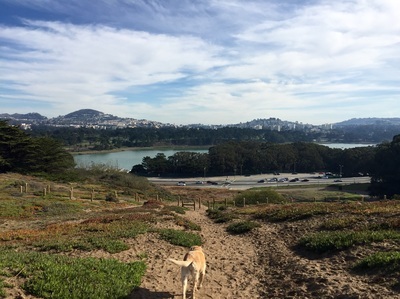 Description: This is one of my favorite parks that has it all: bay views, hiking trails and places to swim. 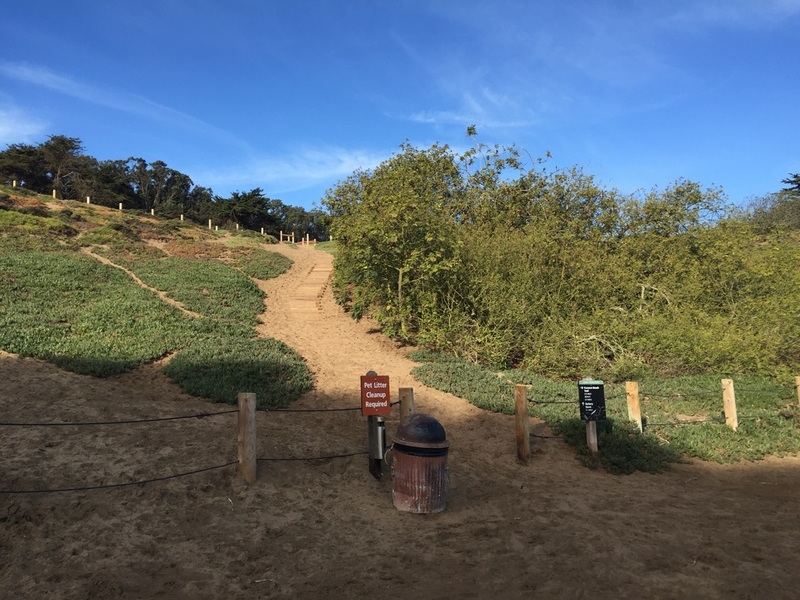 I was pleasantly surprised to see that the park has quite a few hiking trails and you can make your visit into a challenging workout. 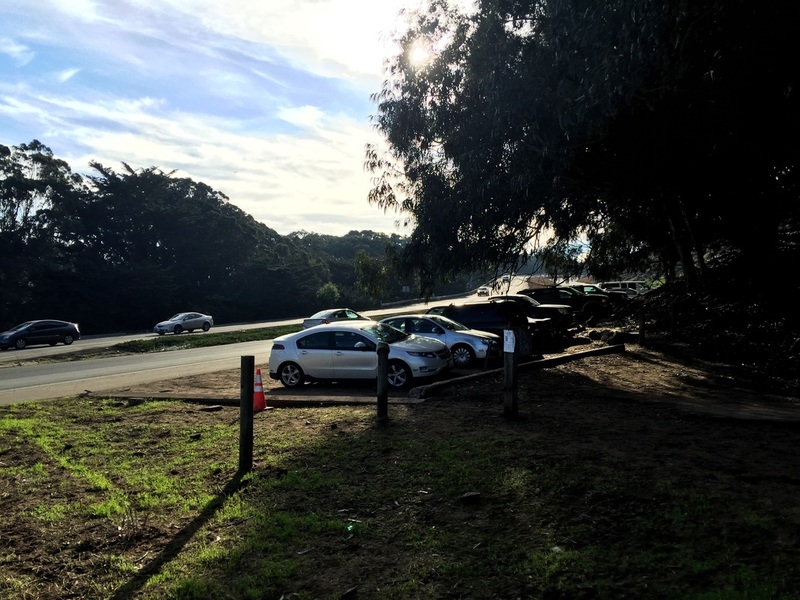 I prefer to park at the lower entrance, where there is a pullout near Skyline Blvd and John Muir Drive. There is a larger parking lot further up Skyline Blvd, but it fills quickly and is often chaotic. If you start at the upper parking lot, you can check out the observation deck and walk about 3/4 mi along a mostly flat, paved, ADA accessible trail. 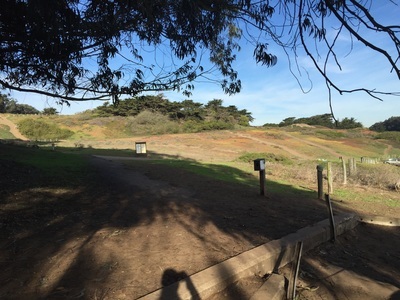 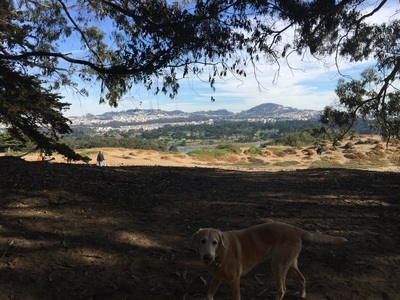 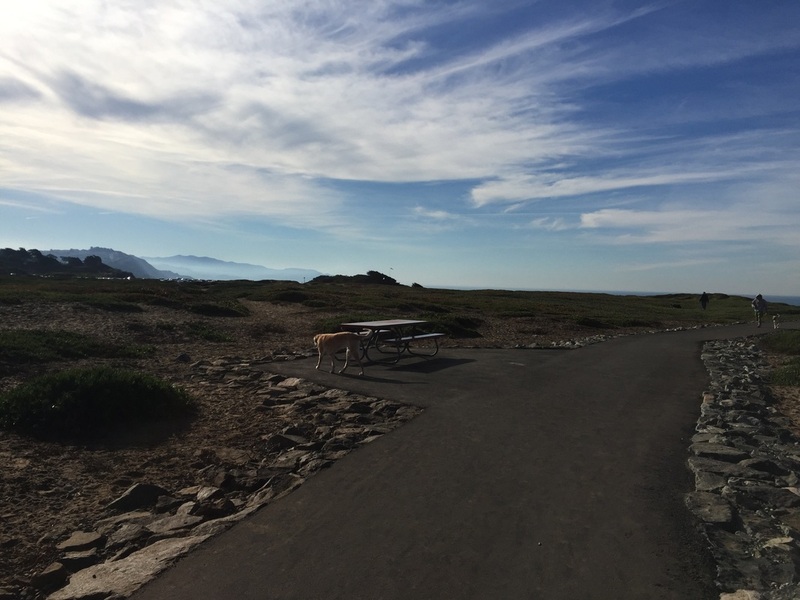 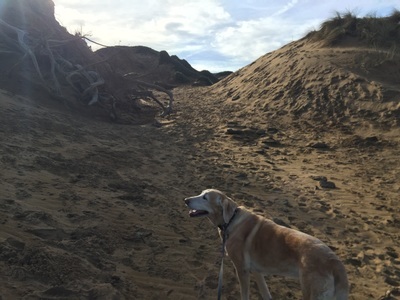 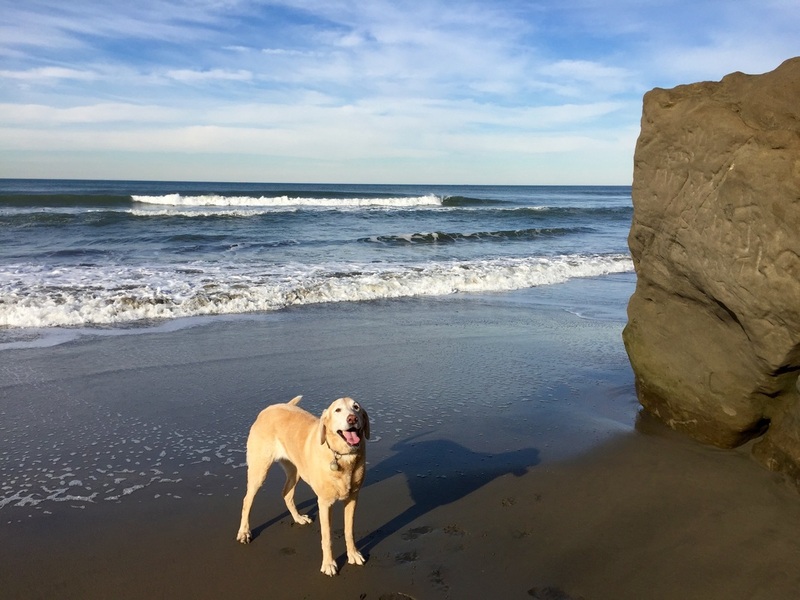 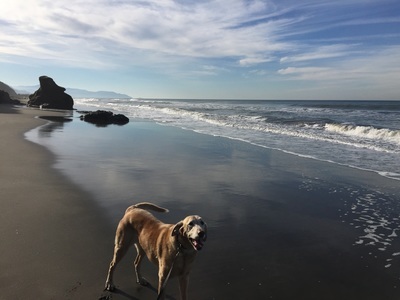 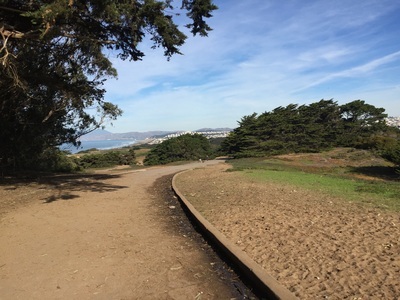 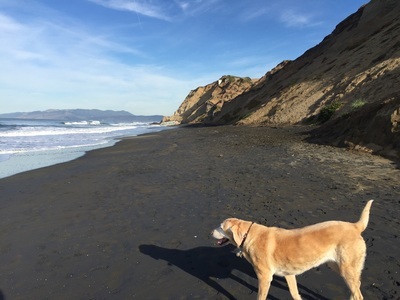 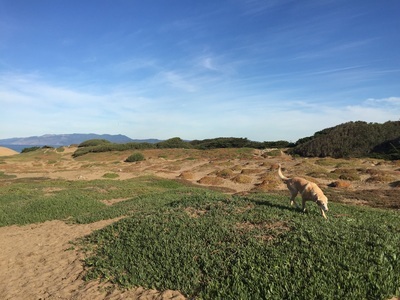 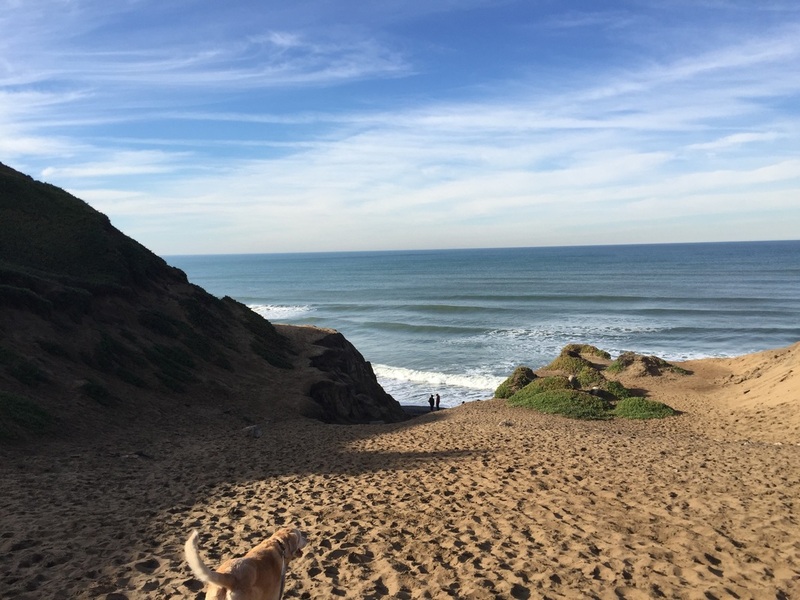 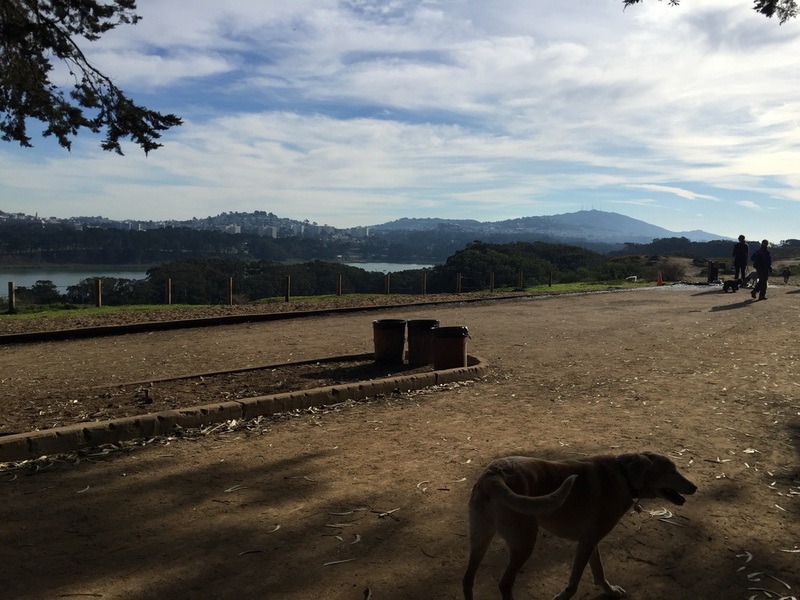 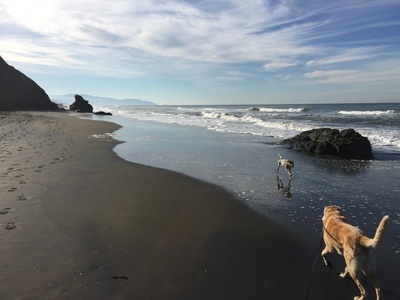 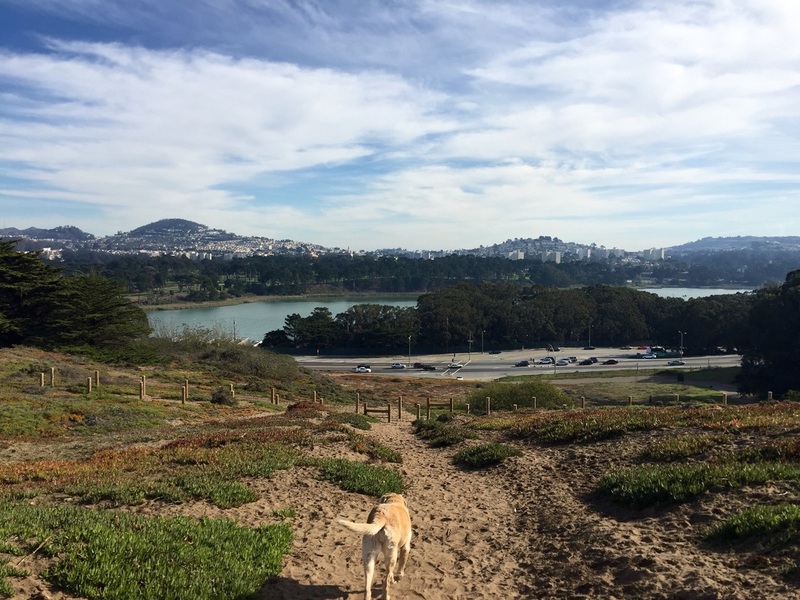 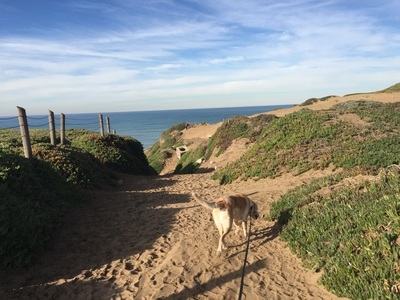 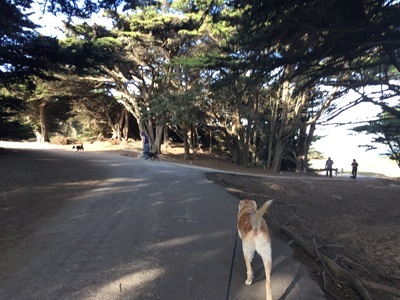 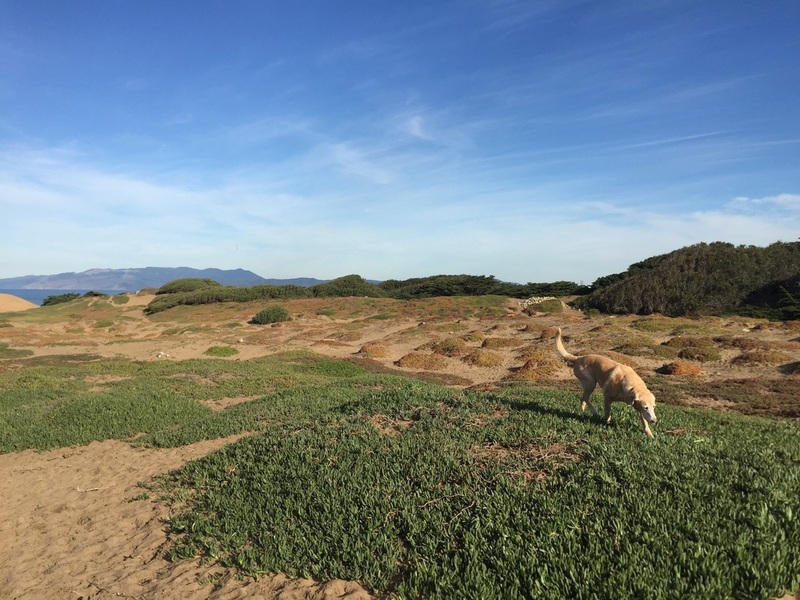 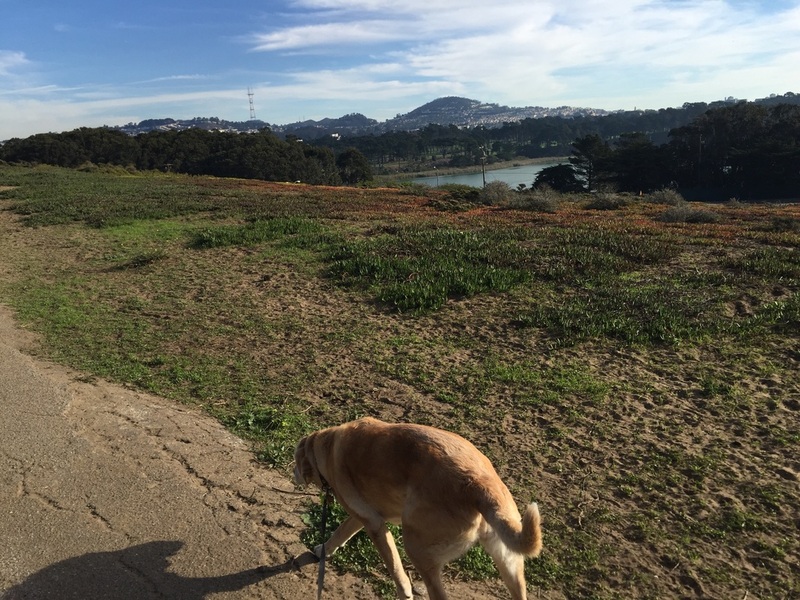 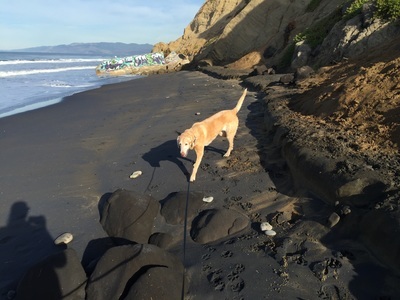 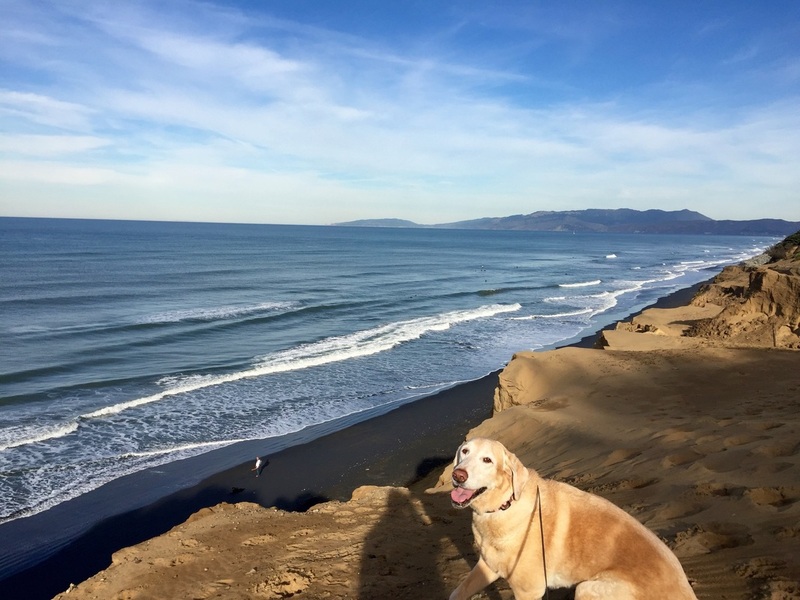 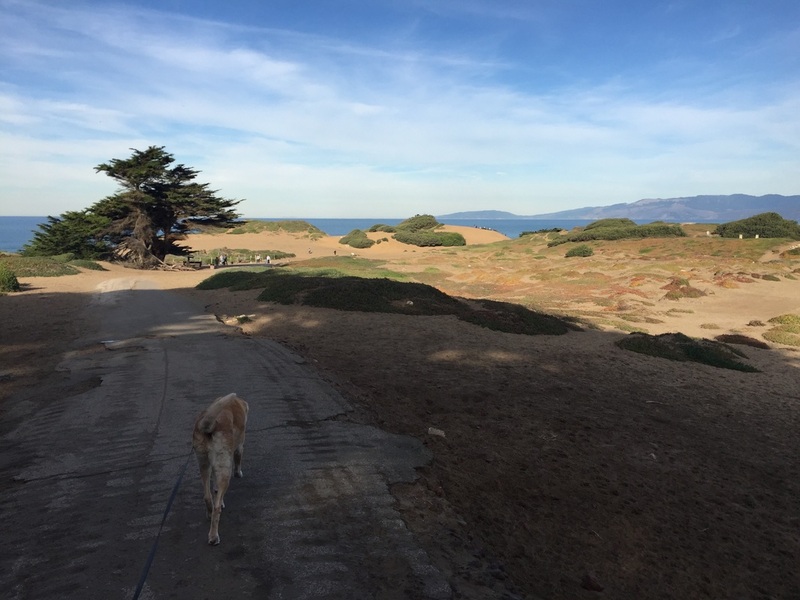 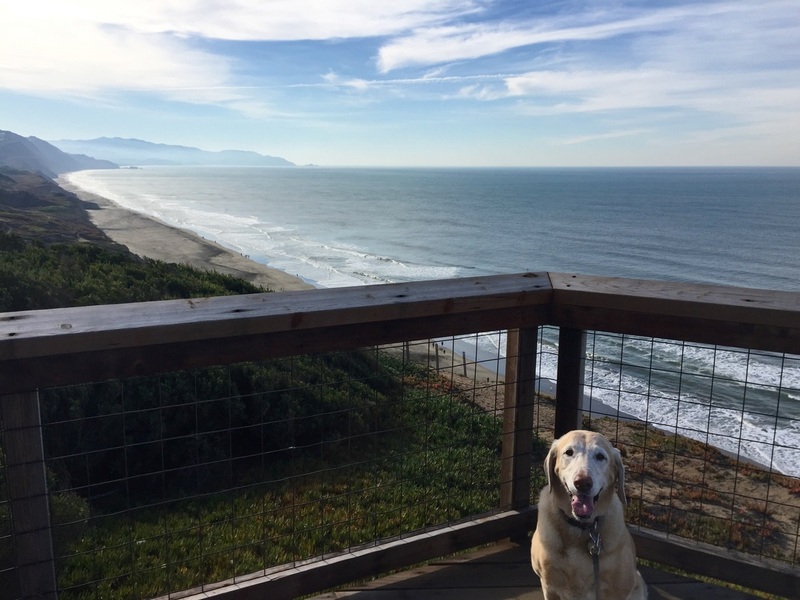 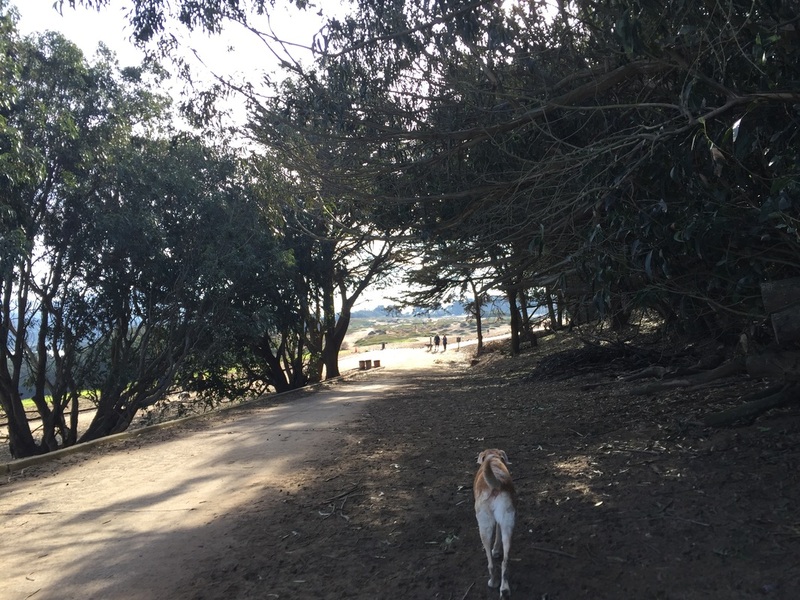 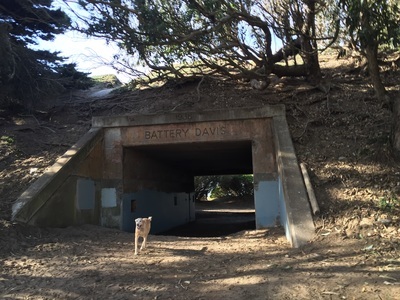 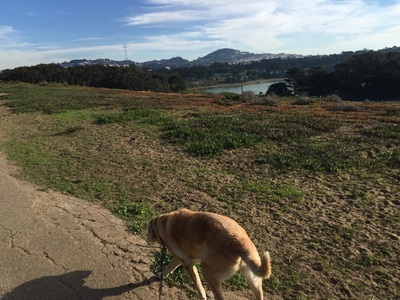 It has great views of the bay and Lake Merced, so it's worth it if you or your dog are not able to hike. If you are able to hike, you can hike down to the beach and back for about a 2.5 mile hike. I prefer to start at the lower entrance because I bypass the paved trail and enjoy the hillside scenery. 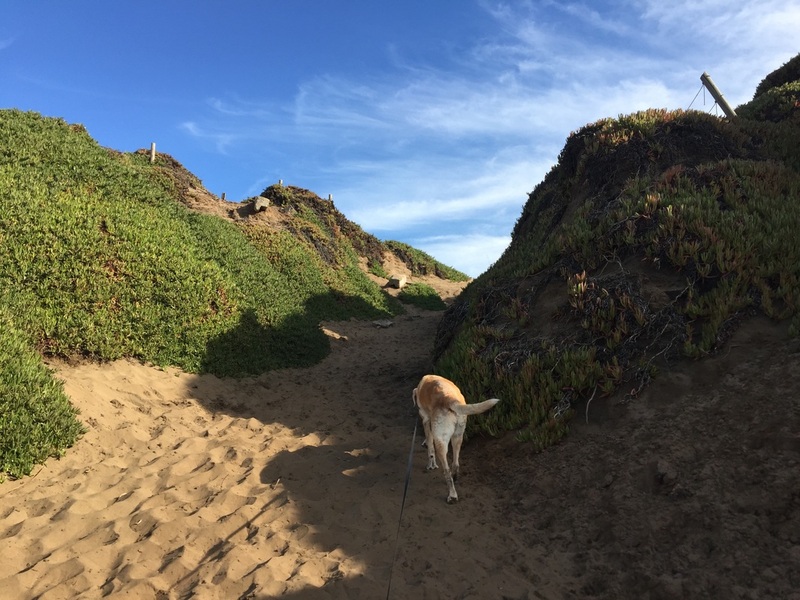 You can easily hike down into the sand dunes, but to reach the beach it's a steep hike down. 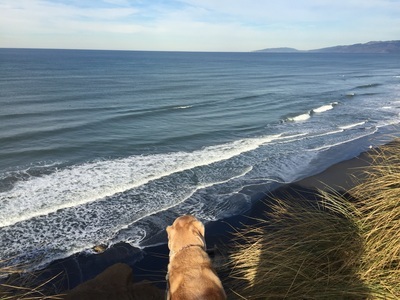 The beach is gorgeous and it goes on as far as you can see. 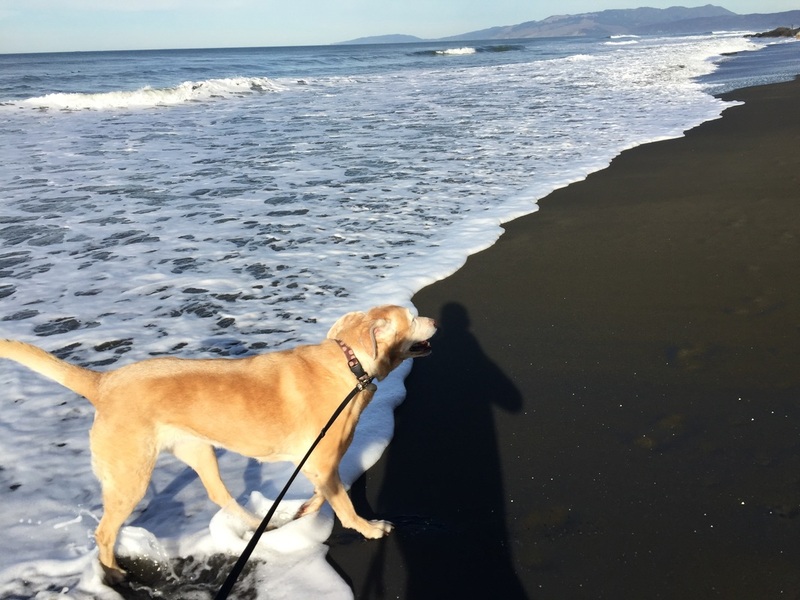 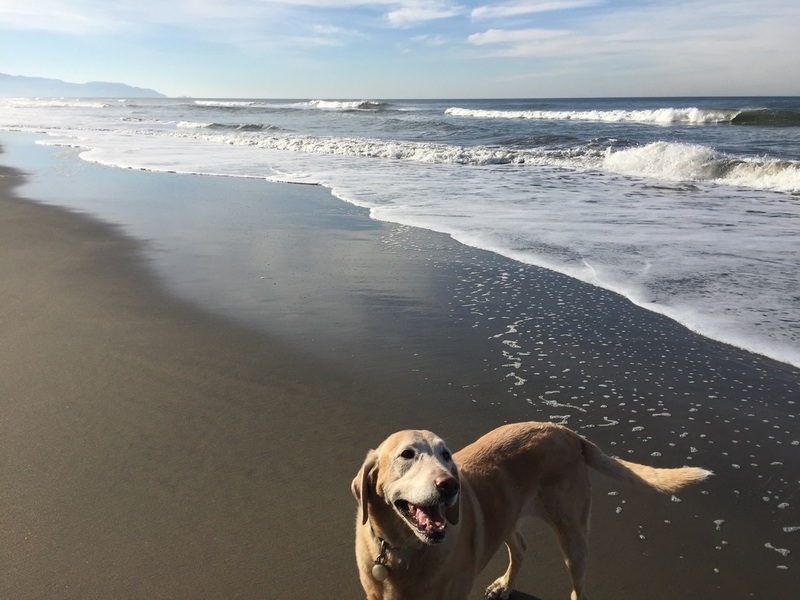 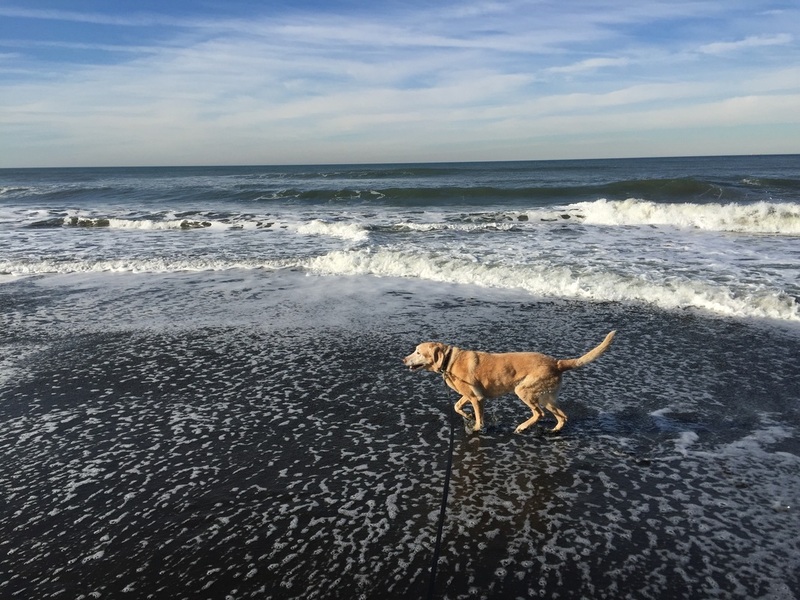 I've heard that the water can be rough at times, so I put my dog on a leash and just let her play in the low waves on the beach. You can walk along the beach to add some miles to your hike. 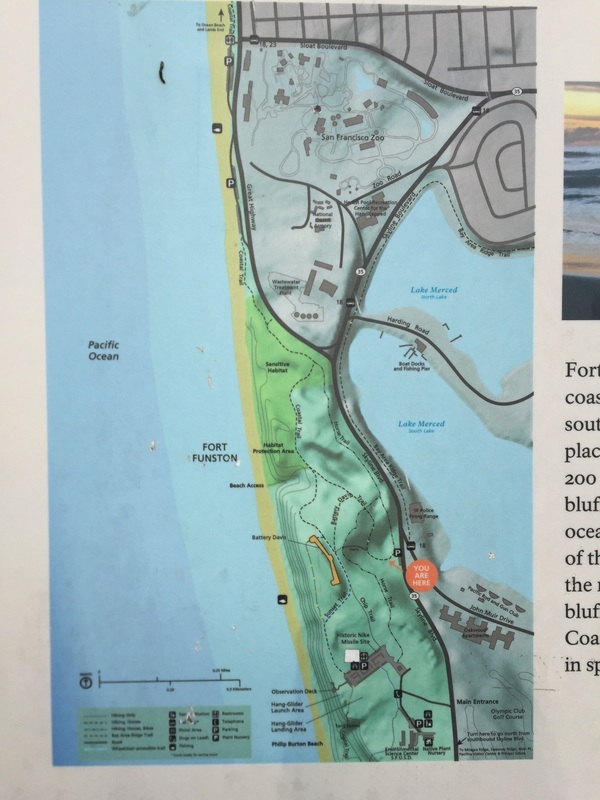 From here, you can hike back up the dunes, up a steep trail to the observation deck, and loop back to where you started.